(Jonathan Benson for Natural News) ...A combined analysis of four other independent studies involving more than 1,000 human samples and a team of researchers from universities in Hungary, Denmark and the U.S. looked at the assimilation process for GMOs as they are currently consumed throughout the world. This includes derivatives of GM crops such as high-fructose corn syrup (HFCS) from GM corn, for instance, and soy protein from GM soybeans, as well as meat derived from animals fed a GM-based diet. 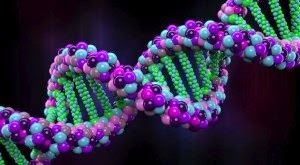 “[B]ased on the analysis of over 1000 human samples from four independent studies, we report evidence that meal-derived DNA fragments which are large enough to carry complete genes can avoid degradation and through an unknown mechanism enter the human circulation system,” explained the authors in their study abstract. This is an astounding discovery that proves false claims made by Monsanto and others that GMOs are no different from non-GMOs as far as the body is concerned. Monsanto even claims on its “Food Safety” page for GMOs that the DNA from GMOs is “extensively digested” and “present[s] no hazards,” both of which have now been shown to be lies.